Hilltribe beads are all the rage. We've taken it one step further by incorporating the handmade silver beads of the Karen tribe into sturdy box clasps. These fantastic clasps have a tongue and groove format that closes securely while adding a dramatic flourish to that necklace or bracelet. 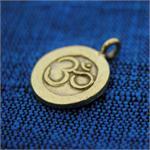 Measures approximately 3/4" long and 1/2" wide. Bead portion from Thailand, clasp handmade in India. 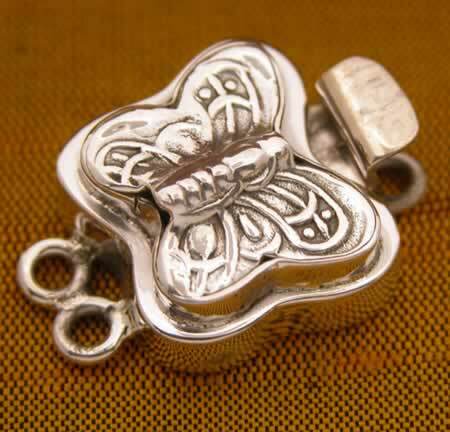 Hilltribe box clasp with dragonfly.